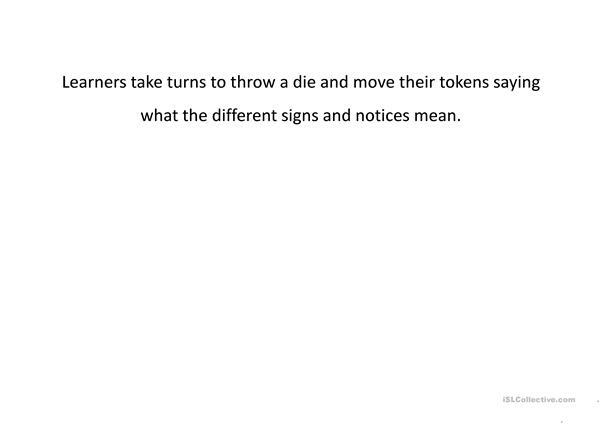 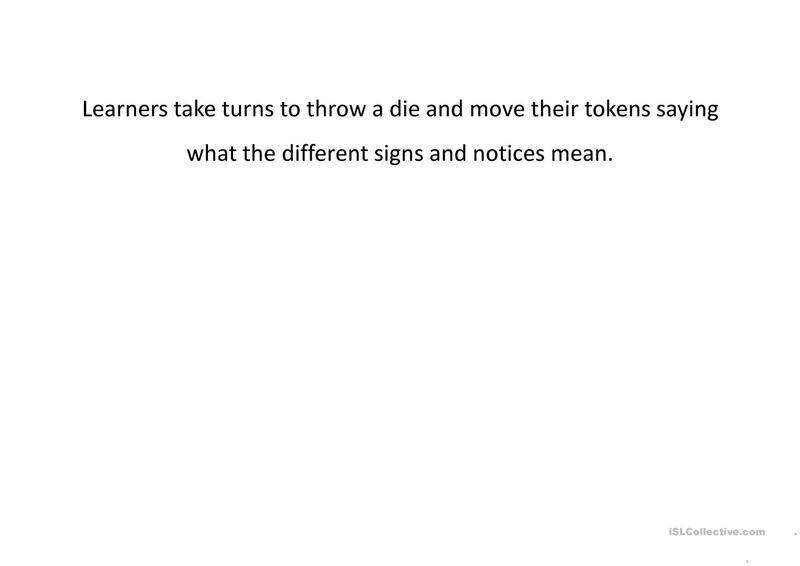 Learners take turns to throw a die and move their tokens saying what the different signs and notices mean. 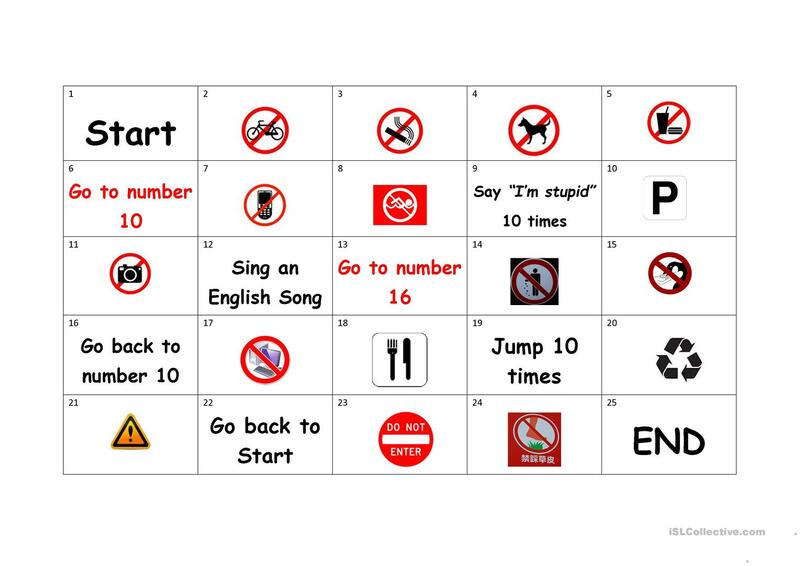 The present printable, downloadable handout is best suited for high school students, elementary school students and adults at Elementary (A1), Pre-intermediate (A2) and Intermediate (B1) level. 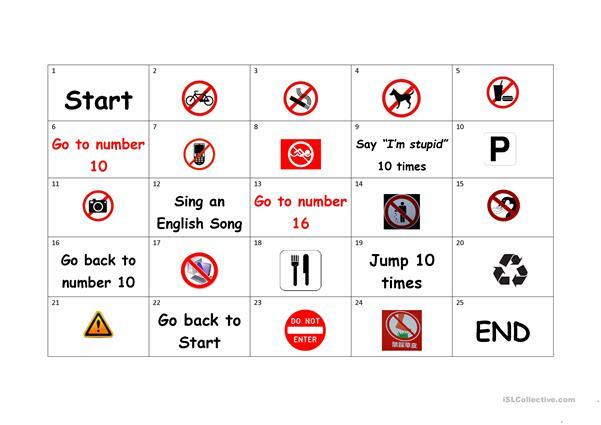 It was designed for developing your groups' Speaking skills.